ST. PETERSBURG, Fla. — School is about to be back in session in Tampa Bay, and Pinellas County is offering parents a new option for kids who excel in the classroom. 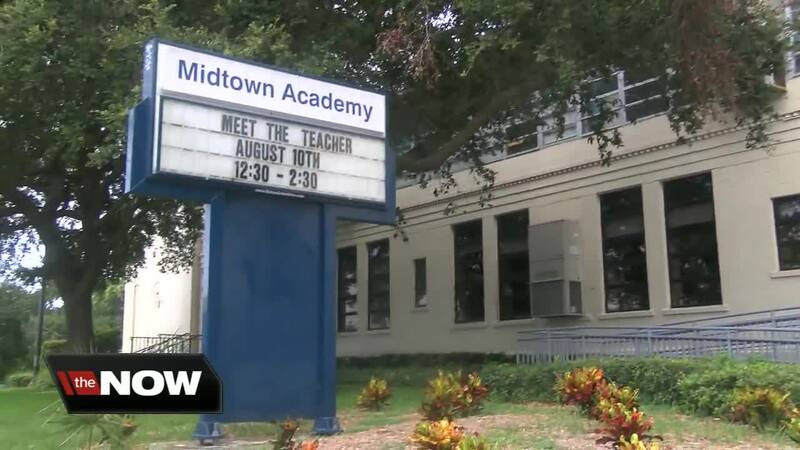 The new gifted and cultural arts magnet programs at Midtown Academy in St. Pete are a much-needed option, according to South County parents. Jon and Helen French learned fast that their son is a quick learner. “It’s challenging to keep him challenged,” Jon said as his first-grader picked up and sorted a handful of rocks while identifying each one. "This one has some myka in it. This one is definitely quartz," Paxton exclaimed in the distance. If Paxton's mind isn’t busy, his parents say he's quick to get bored or flustered, which makes school challenging. “You never want a learner to be frustrated. You want them to be excited about school,” explained Helen French. That’s why the Frenches were so thrilled to learn about a new gifted magnet program launching this school year at Midtown Academy, where every teacher will be endorsed specifically to teach high-achieving kids. Ashley Griffin, the school's magnet coordinator explains the kids will learn through art, music and a more personalized learning pathway. “There really is no one else doing what we are doing and I’m really excited about it," Griffin said. 1,400 elementary school kids in Pinellas County test at gifted levels, but up until this school year, the district only had one full-time program in Largo. That meant parents either had to drive their kids to Ridgecrest Elementary or enroll them in regular schools with only part-time gifted programs. "Teachers often times don’t worry about the kids who are gifted because they’re doing well, but what happens is those students don’t continue to grow and be challenged with a new curriculum. That's why gifted programs are so important,” Griffin added. Karri Morrison's son is also a gifted learner. “It was like oh my gosh! This sounds perfect! Although my son was in a coveted A school we made a leap of faith. I think it will make a big difference,” she explained. The district hopes the new magnet program will help turn the school around too after several years, as both a charter and public school, receiving failing grades. “The county has given us all the tools to be successful so I’m not worried," Griffin said reassuringly. 340 kids will start at Midtown Academy on Monday, August 13th. There are still gifted student spots up for grabs for any parents who are still interested in the program.